One-on-one Private training is the ultimate way to master techniques and make the most of your customized Spine Stretch Pilates experience. Ask us about our Osteopathic Movement Therapy which incorporates Pilates with Osteopathy. 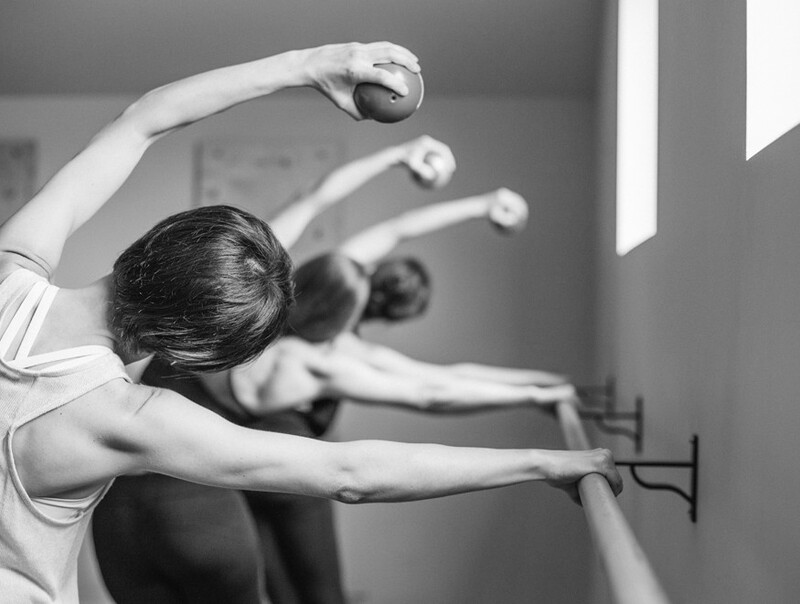 This Matwork class will introduce you to the five basic principles of STOTT PILATES. The exercises taught help to build the strong foundation required to move on to the next level. This mat-based workout is designed to aid in developing longer, leaner muscles, establish core strength and stability, and heighten mind-body awareness. Small props and equipment may be incorporated to add variety or to modify exercises. Our small group classes focus on precision and personalized modifications, so whether you’re a Pilates pro or just testing the waters, we have a class for you. Our classes are perfect for any goal, from rehabilitation to sculpting the long lean lines Pilates is known for. This single class is a prerequisite before joining in our Open Level Fluid Matwork Classes and/or our Introductory to Reformer workshop. You are more than welcome to participate in this class more than once if desired. Experience this Intro Class for $5.00! **Available for new clients only. All Matwork classes are limited to six/seven participants. Adaptable. Changeable. Flow with movement. In the FLUID Matwork classes you will progress through Matwork exercises as an open level class. Each class is adaptable to the goals and needs of its participants. Small equipment including stability balls, resistance bands, foam rollers, fitness circles, mini balls, weighted balls, edge, and wall springs are used to challenge you. Participants are encouraged to stay in FLUID class until they feel confident enough to enter the Precision class with Instructor approval or the instructor recommends advancement. Class is limited to six/seven participants. Trueness. Accuracy. Movement with intention. For an added challenge, PRECISION Matwork classes take you through a dynamic full-body workout, stretching and toning all muscle groups and focusing on improving flexibility and core strength. Small equipment introduced in the FLUID Matwork class is used here at a more challenging level. BOSU trainers are also used at this level. **Participants are required to be approved by an Instructor to join these classes. This fun and exciting workout focuses on building strength and stability as well as improving balance and flexibility using the Barre. Learn how the elements of dance are combined with the fundamentals of Pilates resulting in a fluid, flowing routine including small props that challenges the strength and stamina of the entire body. All levels are welcome. This class can not be modified for hip, ankle or foot injuries. This Introduction to Reformer workshop will teach clients how to apply the basic principles of STOTT PILATES® on the Reformer and how to adjust the Reformer for each individual. Participants will get an invigorating total body workout using spring resistance. New to our studio? Your first Intro Mat class is $5.00! This single class is a prerequisite before joining in our Open Level Fluid Reformer Classes. You are more than welcome to participate in this class more than once if desired. Class is limited to six participants. The FLUID Reformer classes you will progress through reformer exercises as an open level class. Each class is adaptable to the goals and needs of its participants. Continue to ground yourself on the Reformer, mastering the proper technique required to build core strength, stability and mind-body awareness. Props such as fitness circles, weighted balls, and mini balls are used to challenge you. Participants are encouraged to stay in the FLUID class until they feel confident enough to enter the Precision class with Instructor approval or the instructor recommends advancement. For an added challenge, PRECISION Reformer classes take you through an invigorating total body workout. The pace is varied between slow controlled movements as well as vigorous and challenging. PRECISON Reformer will tone and lengthen muscles using spring resistance. Introducing Pilates at an early age creates body awareness and develops skills and techniques that improve focus and strengthen the body, preventing injury during other activities. Teen Pilates begins as a mat-based workout that teaches the five basic principals of STOTT PILATES®. Small equipment including stability balls, resistance bands, foam rollers, fitness circles, mini balls, and weighted balls are used to challenge teens. The class can progress to large equipment including the Reformer to further challenge with the use of spring resistance. Class size is limited to eight participants. Lisa Bender is an Osteopathic Manual Practitioner, Registered Massage Therapist and STOTT® Certified Pilates Instructor. Lisa believes that optimal health begins with intelligent exercise and unifying body and physiological function. Lisa has been practicing Massage Therapy since 1998. Determined to become more educated in movement therapy, Lisa completed her training to become a STOTT® Certified Pilates Instructor and continued her education in therapeutic Pilates training by The Pilates Process. Using her anatomy background, Lisa continued her path of healing with rehabilitation through Pilates. Lisa opened Spine Stretch Studio in 2002, offering STOTT PILATES® training and Massage Therapy. The studio grew quickly as members experienced the benefits of these two disciplines. Taking a leap, Lisa moved into a large facility expanding into a fully equipped Pilates Studio and Wellness Centre incorporating Pilates training, Massage Therapy, Naturopathy, Acupuncture and other holistic therapies. Through hard work and dedication, Lisa was awarded a Business of the Year award from the Aurora Chamber of Commerce in 2009. In 2015, Lisa graduated from Southern Ontario College of Osteopathy with an Osteopathic Manual Practitioner diploma and received an award for the highest grade on the final examination. Bridging her expertise in Pilates and 17 years of clinical experience, Lisa extensively researched the connection between the psoas muscle (primary hip flexor commonly misused, mistreated and mistrained), stress and adrenal fatigue. Her mission is to empower, educate and create passion in the process of healing and feeling your best. Rebecca’s love of dance and sport led her to pursue a career in health and fitness. After graduating from York University with a degree in Kinesiology, she became a CSEP-Certified Exercise Physiologist, working in corporate fitness as a personal trainer, fitness instructor and facility manager. 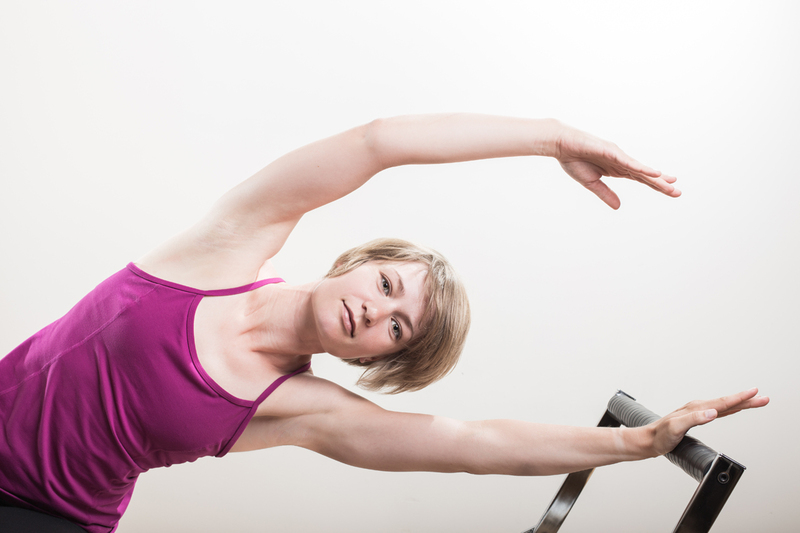 While looking to further her training, Rebecca was introduced to STOTT PILATES® and loved it! She has been certified in Mat and Reformer since 2007. Rebecca strives to give all her clients an enjoyable and challenging workout while helping them achieve their personal goals. Krystle is a Certified Nutritional Practitioner (CNP) and a fully certified STOTT PILATES® instructor who achieved a near perfect score on her certification exams. 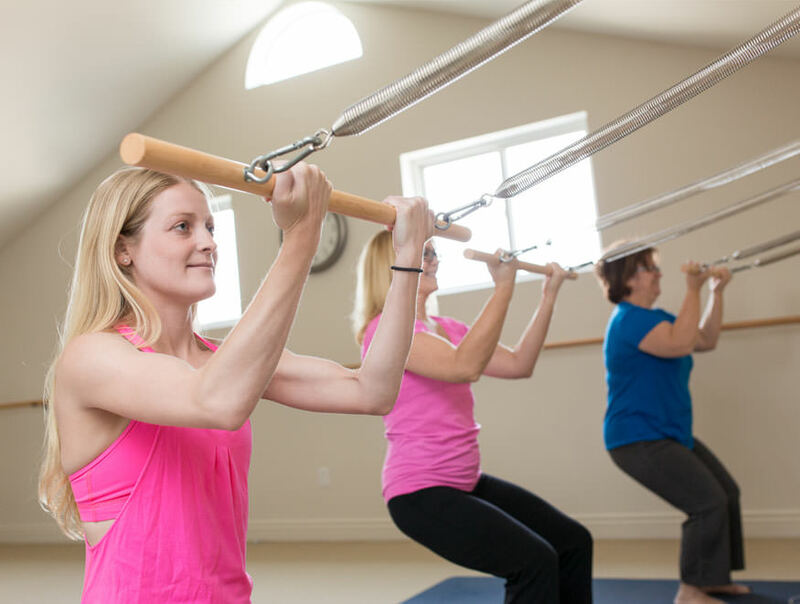 She began training in STOTT PILATES® in 2008 at Spine Stretch Studio in order to overcome muscle imbalances and strength issues resulting from surgery required as a child. After her first class she was hooked! Always active, Krystle has trained in a wide range of physical activities – everything from swimming and yoga, to circus arts and dance – including obtaining an Honours Dance Minor from York University (majoring in Visual Arts Studies). Her teaching experience includes training children and adults in both ballet and ballroom/Latin dance. With a passion for helping those with injuries, Krystle especially loves the rehabilitation side of Pilates. She enjoys making people feel great and hopes to inspire her clients to be happy, healthy and enjoy all of the wonderful benefits that Pilates has to offer. Laura is a fully certified Stott Pilates instructor with over eight years experience teaching in the Aurora and Barrie areas. With her active roster of personal clients and classes, she utilizes a full range of techniques and equipment, including the Reformer, Cadillac and Stability Chair. Her personal interest in yoga seeps into her teaching and she likes to integrate stretching into class, as well as offering occasional stretch workshops. She loves that Pilates is such a versatile technique suitable to all ages and fitness levels, and enjoys the challenge of working with clients dealing with injuries, elite athletes and everyone in between! With a light-hearted approach, but an emphasis on technique, Laura loves helping her clients achieve their personal health and fitness goals….and have fun doing it! She hopes you will leave her classes feeling stronger, longer and with a smile on your face! Kimberly Craig has been enamoured with Pilates for over 16 years. She has a B.A. in Psychology, full certification with STOTT Pilates since 2002, and is working towards becoming a Reiki practitioner. Her passion, discovered after 2 C-sections and 2 hernia repairs, is working with clients healing an abdominal separation (Diastasis Recti). She approaches her instruction with humour, enthusiasm, and a focus on technique. Having started her own Pilates journey with no athletic ability, she truly enjoys helping her clients find the fun in fitness, and their own inner athleticism! 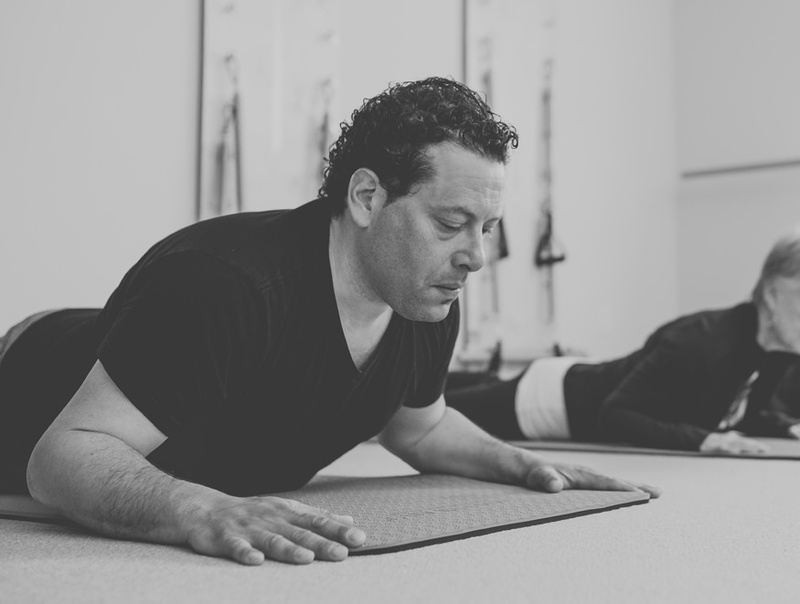 Chris studied Soma Training and Somatotherapy at the Sutherland Academy of Osteopathy in Montreal making him one of a small elite group internationally who use Osteopathic principles for therapeutic exercise. He is currently studying Osteopathy at Toronto’s Academy of Osteopathic Science, a unique school that blends therapy, Functional Neurology and Osteopathic exercise. He is also a Seneca College Fitness Leadership graduate, CHEK Practitioner 1, Holistic Lifestyle Coach, CPAFLA CSEP Fitness Assessor and certified Personal Trainer. Chris has been working in the fitness & wellness industry since the year 2000. His mission is to educate about health, fitness & lifestyle so you can truly live the life you want. Combining fitness expertise with his Osteopathic studies, Chris loves helping people improve the quality of their life, alleviating their pain or improving their athletic performance. With years of experience working with people of all ages, and walks of life, she is able to tailor sessions to meet her client’s particular needs. Understanding that we are all unique, her goal is to help her clients become aware of their own sensations and movement patterns so they can gain more control over their bodies to move and feel better.